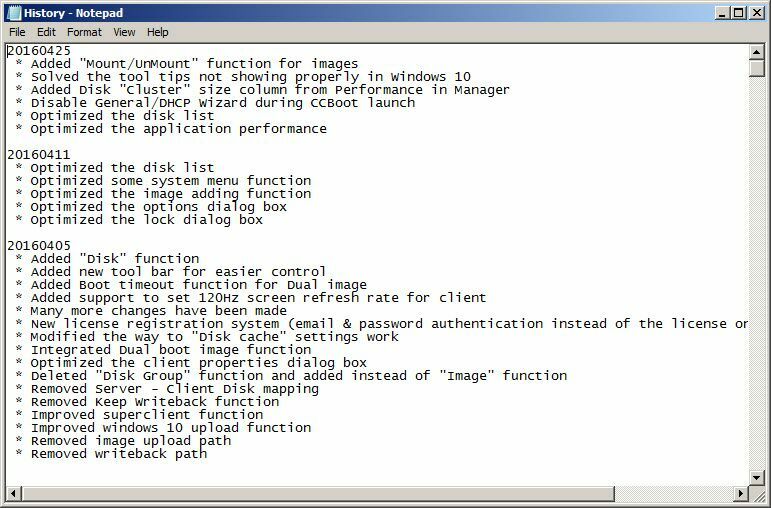 If you want to know the update information of your CCBoot,you can follow the instructions below. 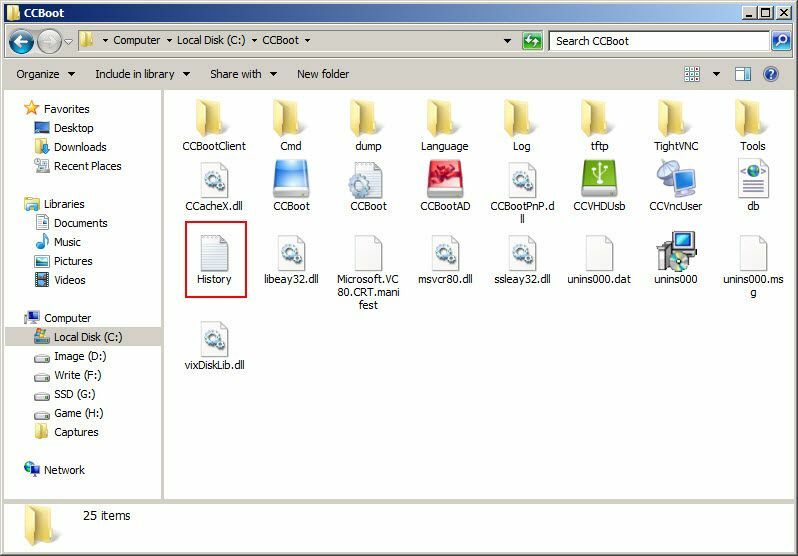 1) Open the CCBoot installation folder, find the"History.txt" file, and then double click it. 2) It will pop up the "History.txt -Notepad" dialog box, where you can find all the update information.